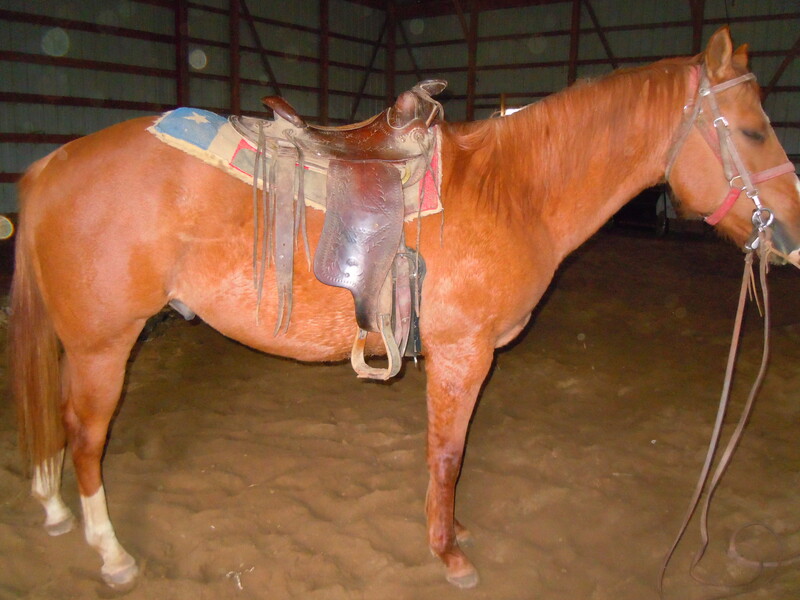 Red dun gelding. 6 years old. 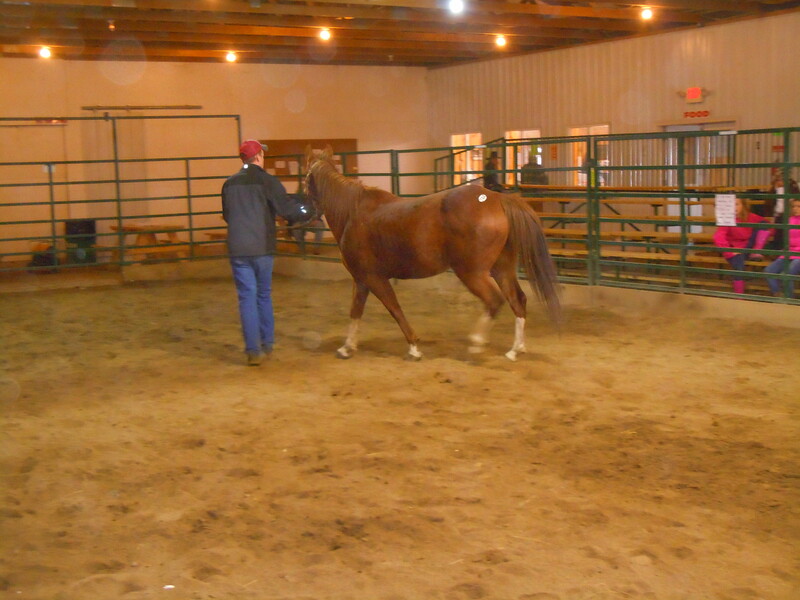 Sells with signed breeder’s certificate and signed transfer, eligible to be registered with AQHA. 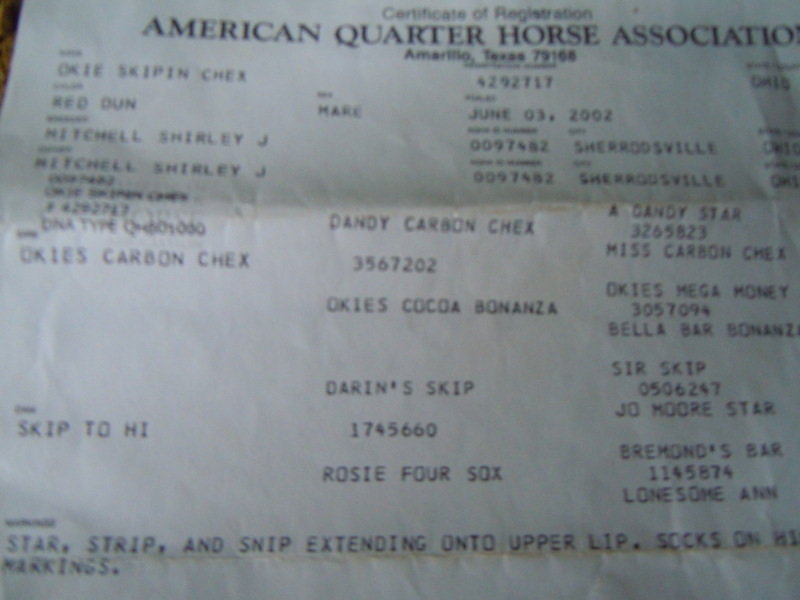 Here is a picture of his dam’s registration, to give you an idea of bloodlines. 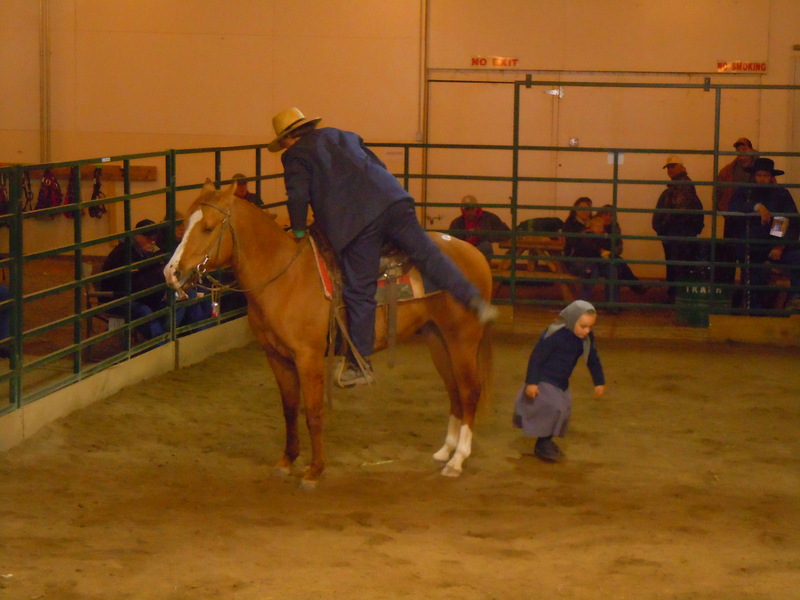 This horse is traffic safe, kid safe. Rode by a 6 year old girl. 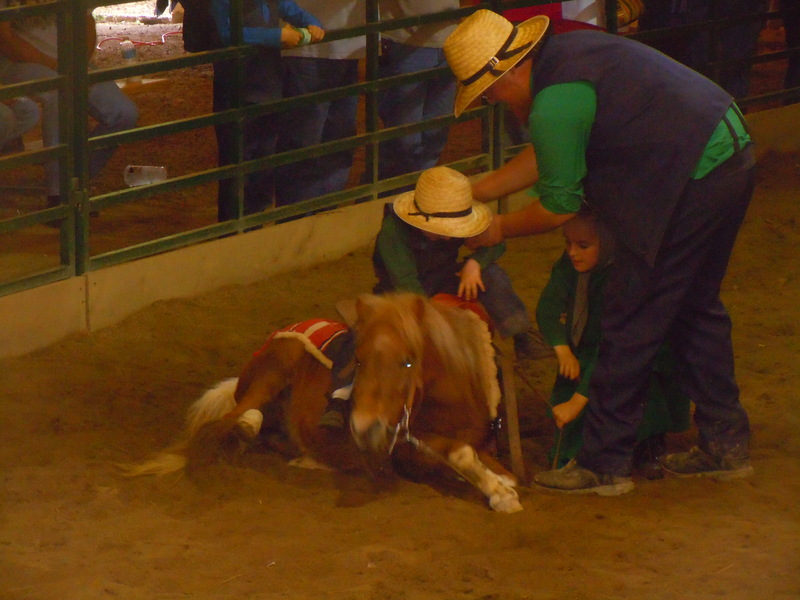 He is trained to lay down for mounting. 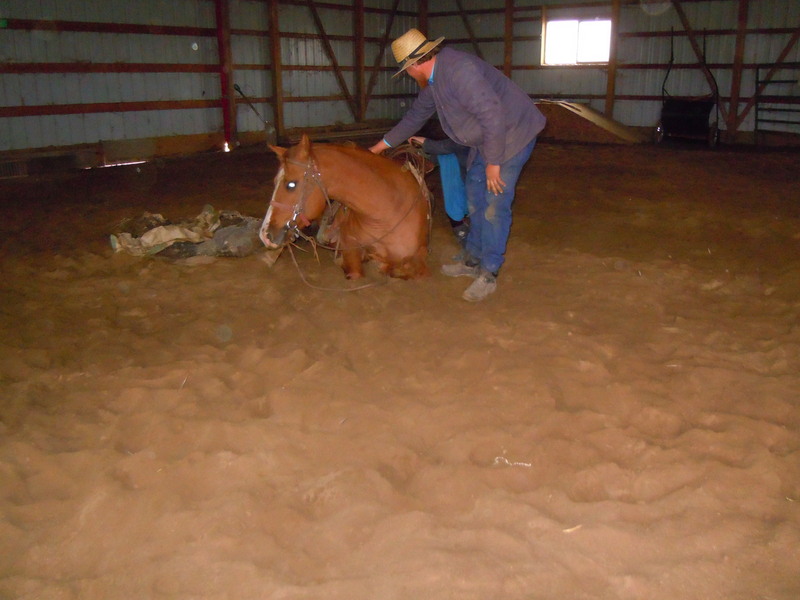 If you saw the pony that sold at the October sale…this gelding’s had the same training. 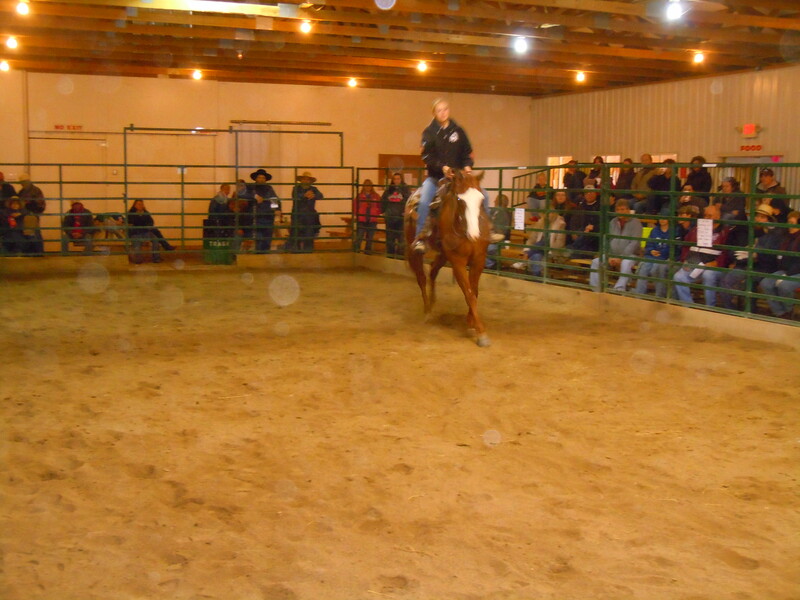 Hope to see you there on November 2, 2013. 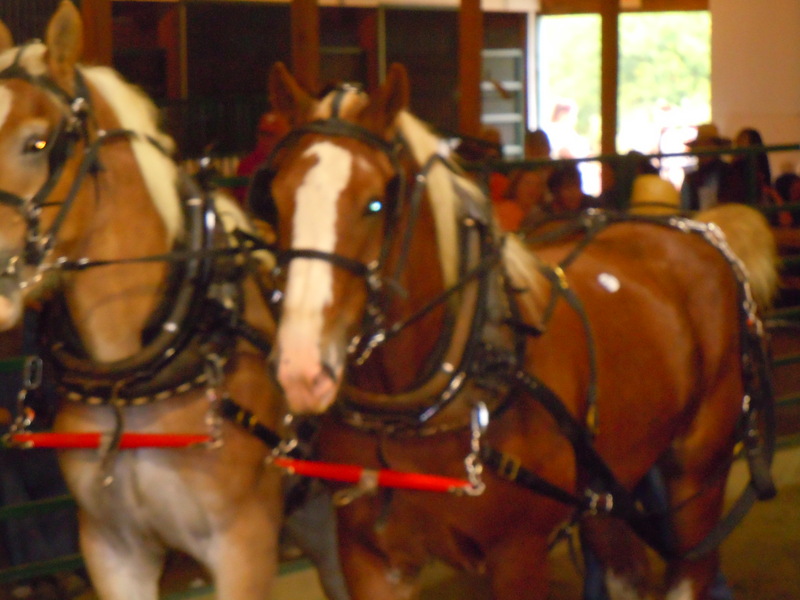 666 & 667 JACK & JENNY: 8 year old Belgian gelding and 8 year old Belgian mare. Half siblings. Broke to farm machinery. Consigned by Ernie Petersheim. 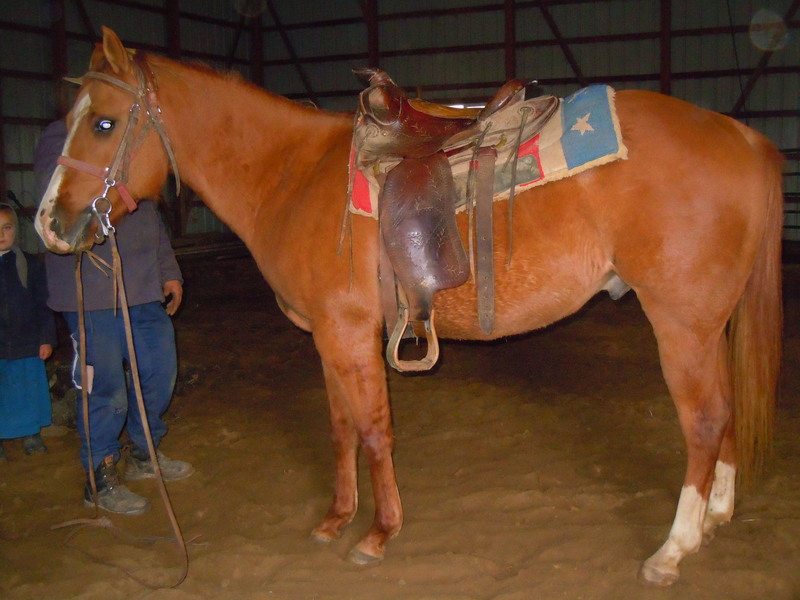 668 BOB: 4 year old red sorrel Belgian gelding. Broke, works well on either side. Grandson of Elect’s Fire Chief. Consigned by Ed Borntreger. 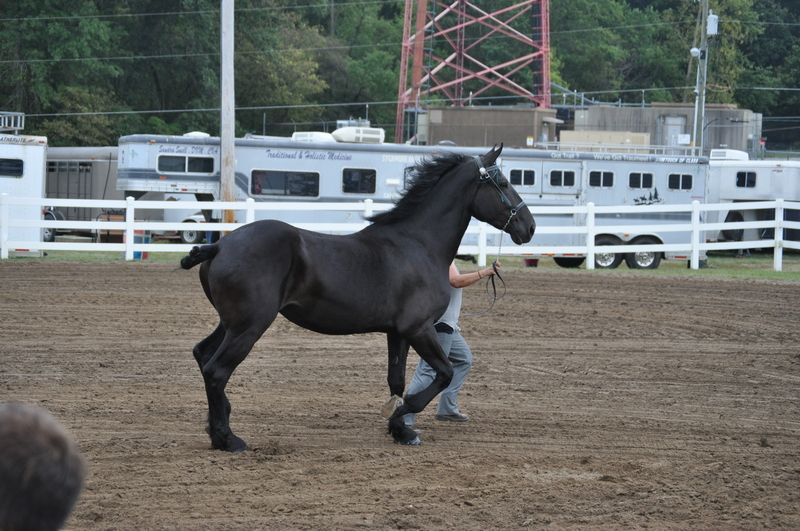 669 CONNIE’S APRIL: 3 year old black Percheron mare. Registration #307157. 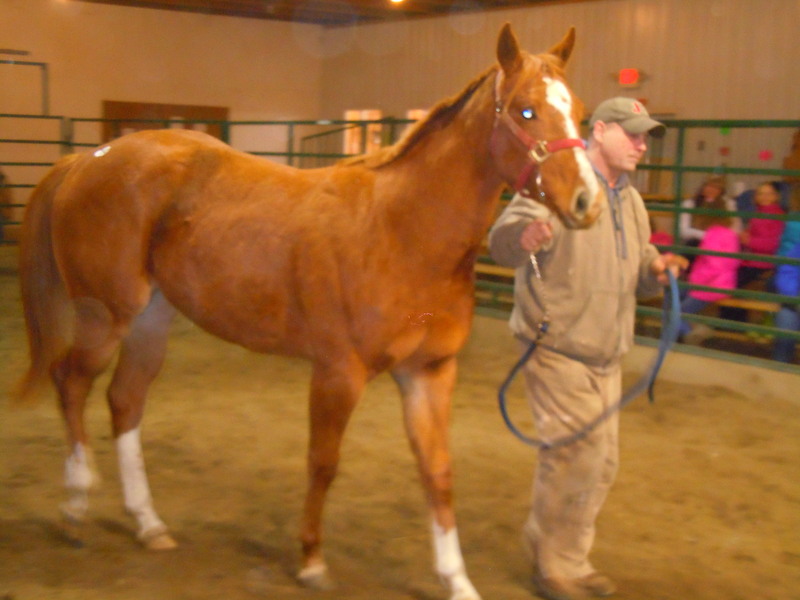 Bred to Hidden Y’s Spirit’s Elimanator, registration #298194. 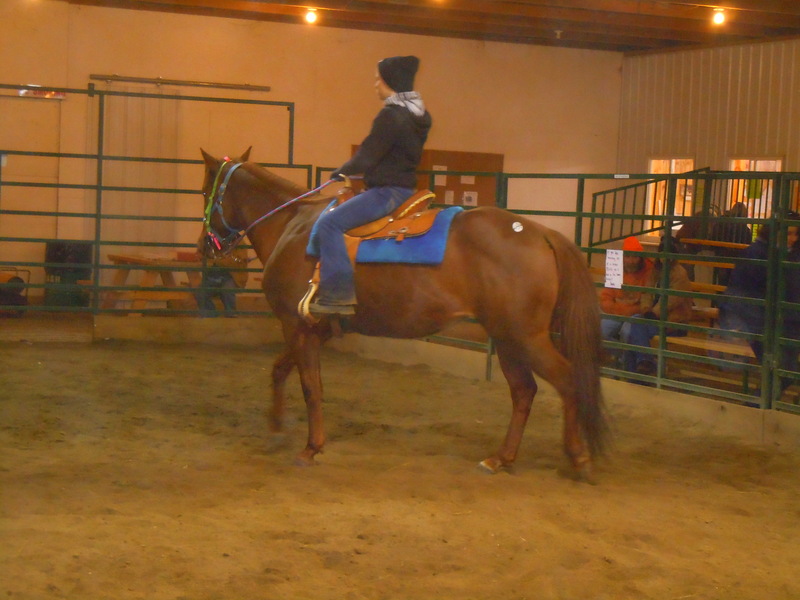 Mare is broke to ride and drive. 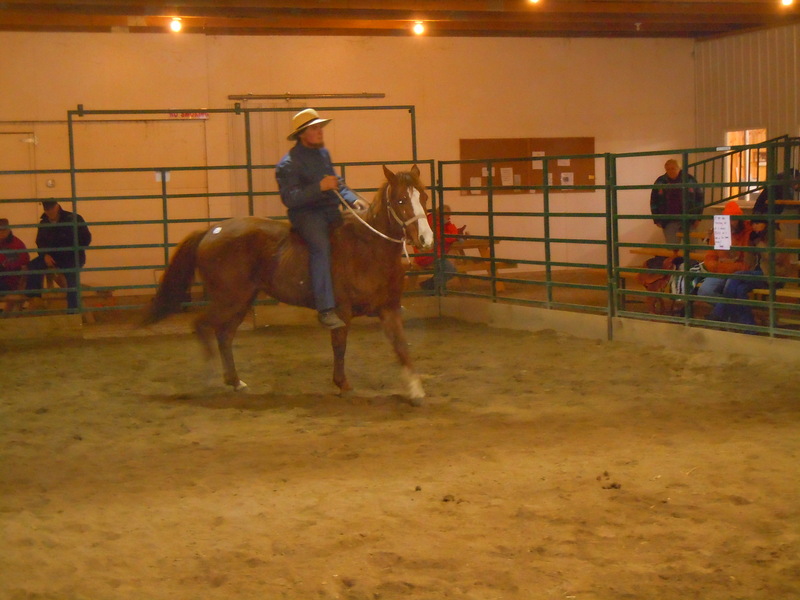 Doing well with just 30 days under saddle. Consigned by Deanna Pahl. 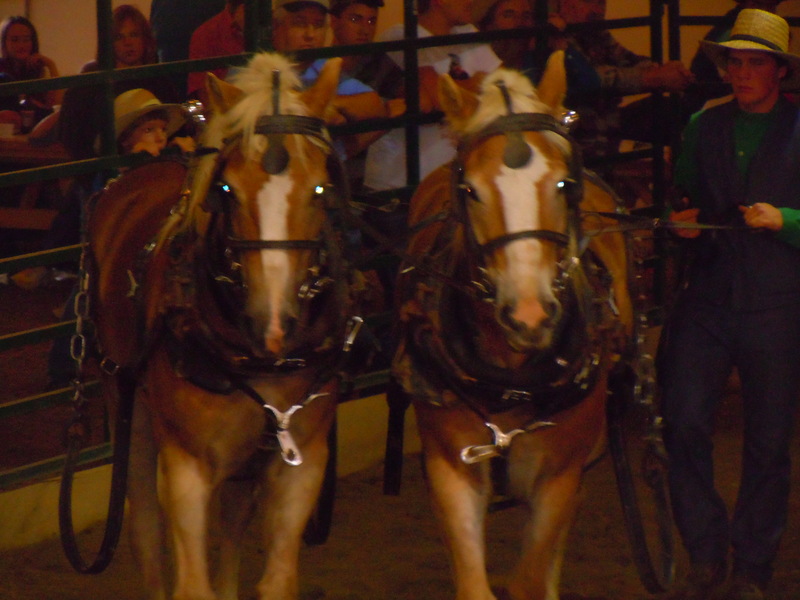 670 & 671 MARK & MERLE: 7 and 8 year old Halflinger geldings. Full brothers. Broke to farm machinery. Consigned by Ernie Petersheim. 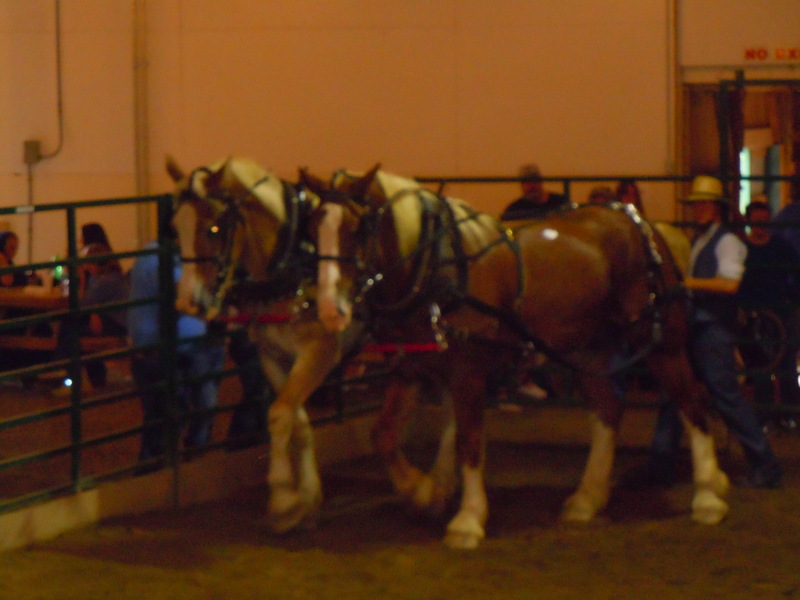 672 & 673 DONNA & DOLLY: 5 and 7 year old Belgian mares. 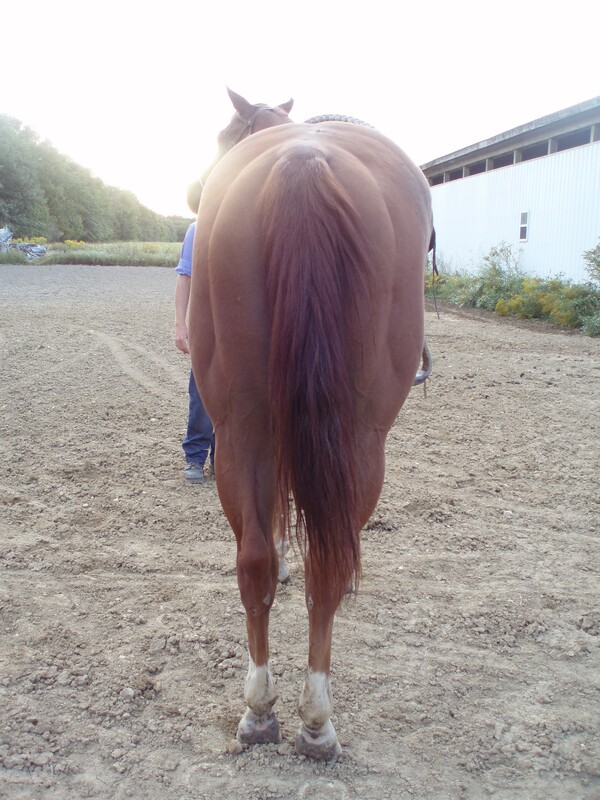 Sorrel with light mane and tail. Well broke to most farm machinery. Work with snap. Traffic safe and sound. Consigned by John Hochstetler. 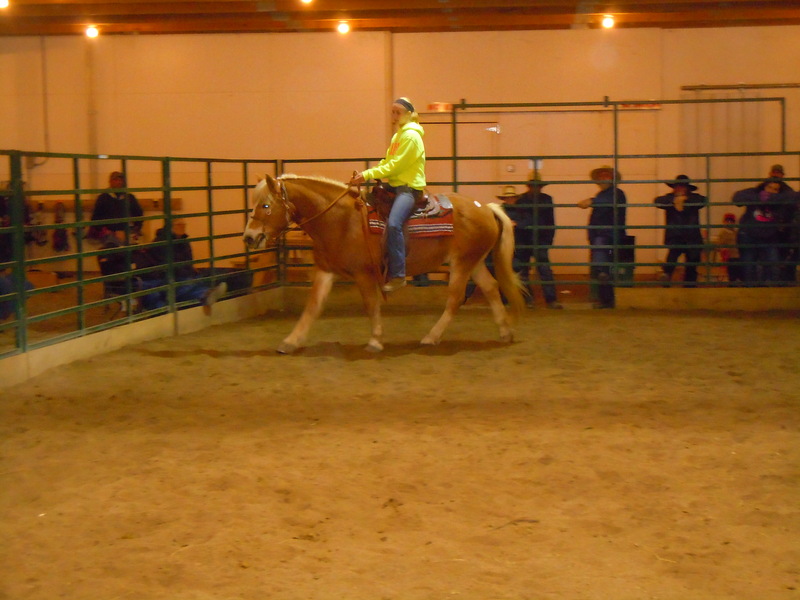 674 MAY: 3 year old blonde Belgian mare. May is a full sister to Duke. 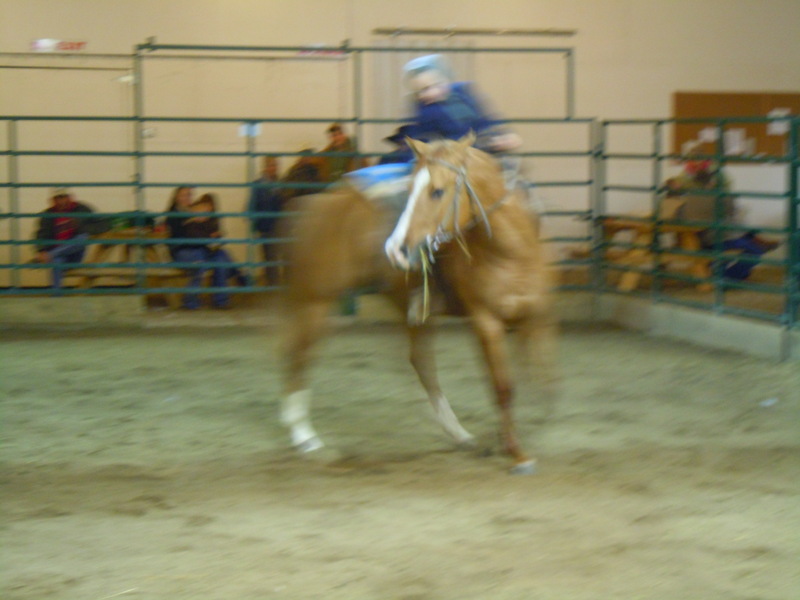 She is not quite as aggressive as Duke by she is not slow. Has been used in most farm machinery without a problem. 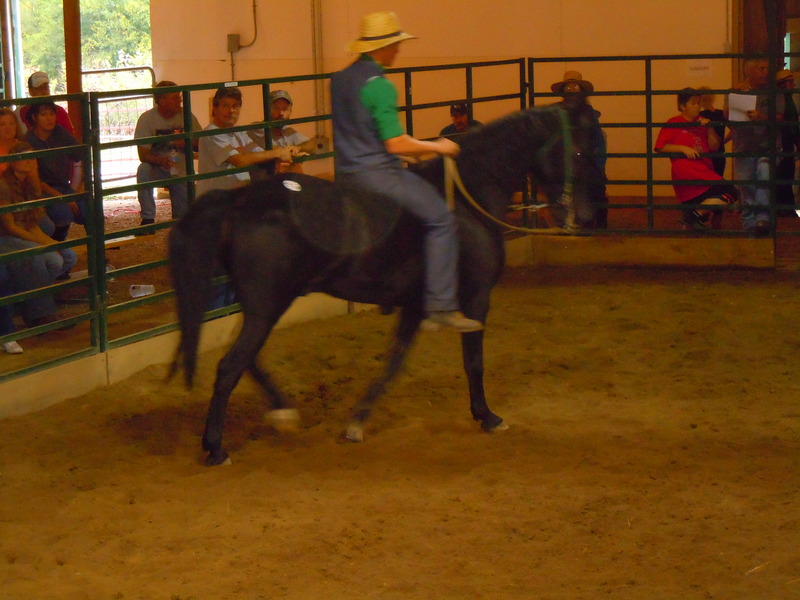 This is a well-built mare and a good worker. Consigned by Albert H. Yoder. 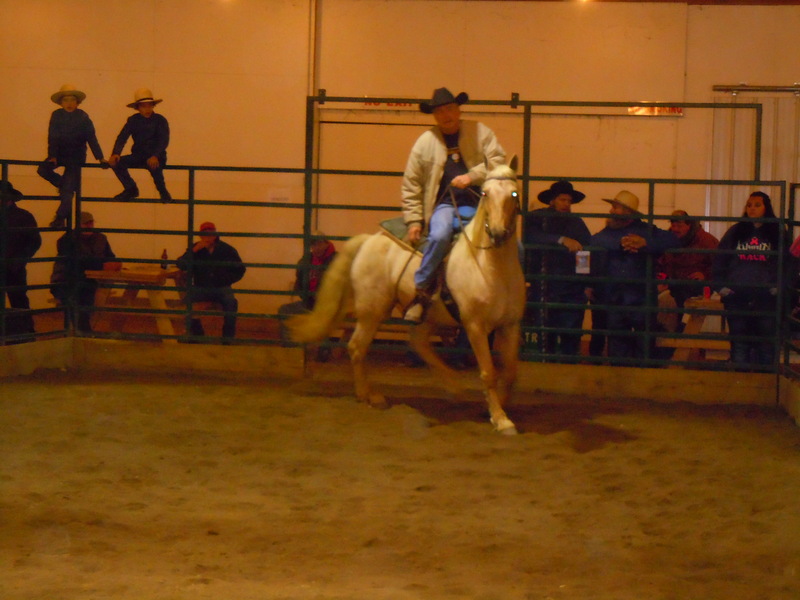 675 DUKE: 4 year old blonde Belgian gelding, full brother to May. 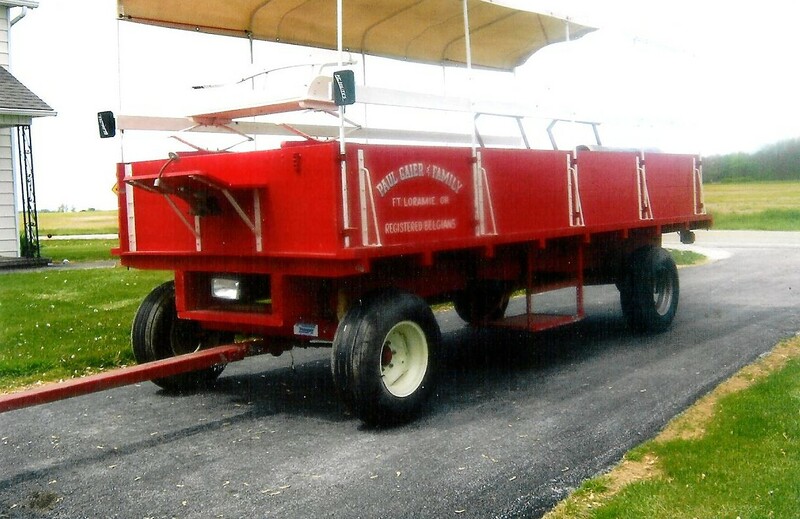 Duke has been used in most all farm machinery, such as hay mower, hay loader, grain binder, etc. 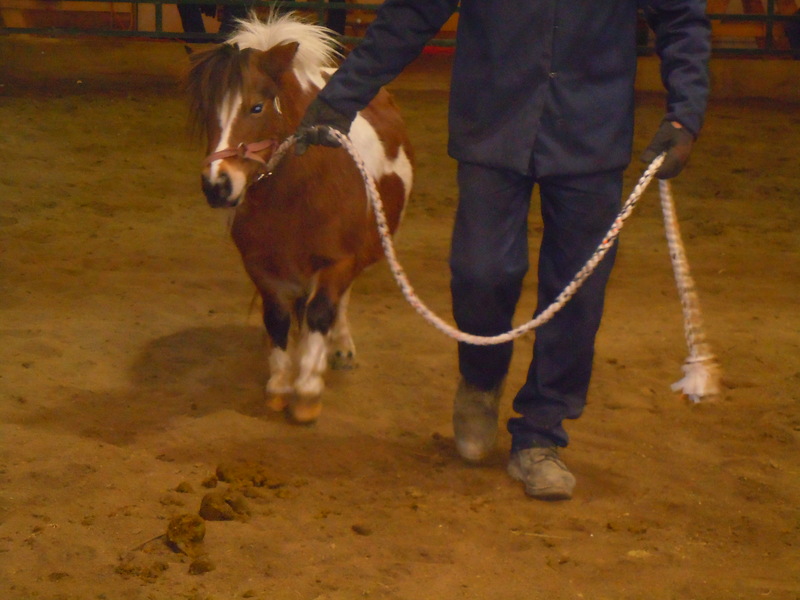 He is a little skittish around noisy machinery but will usually quite down after a while. 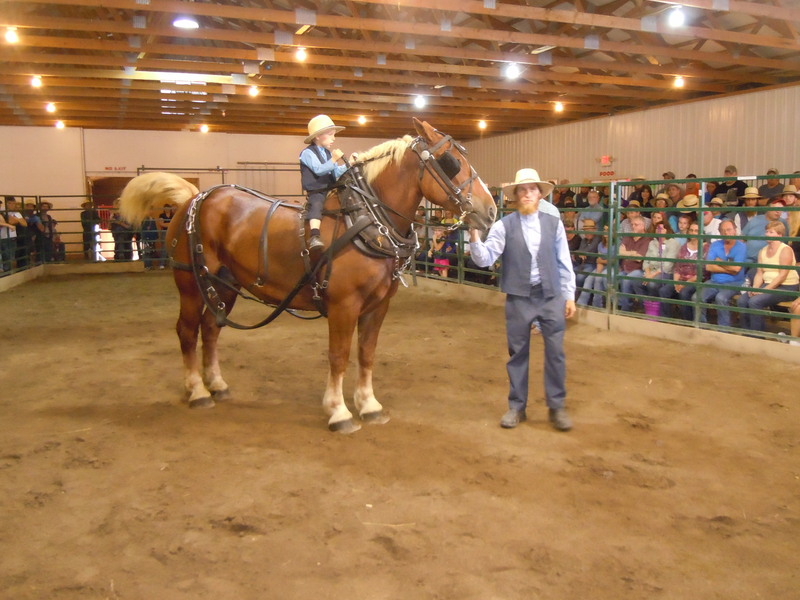 If you need a good puller with lots of pep he is the horse for you. Consigned by Albert H. Yoder. 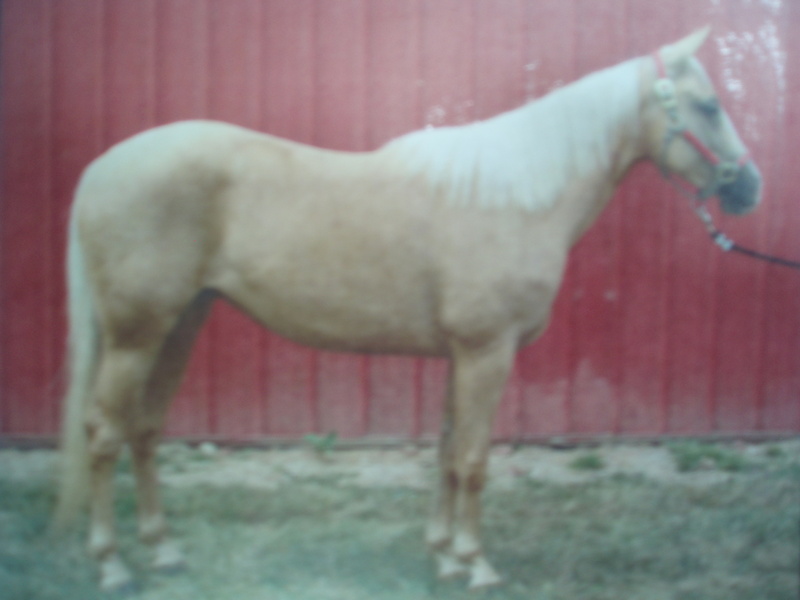 676: 4 year old registered blonde Belgian gelding. Stripe and white mane and tail. 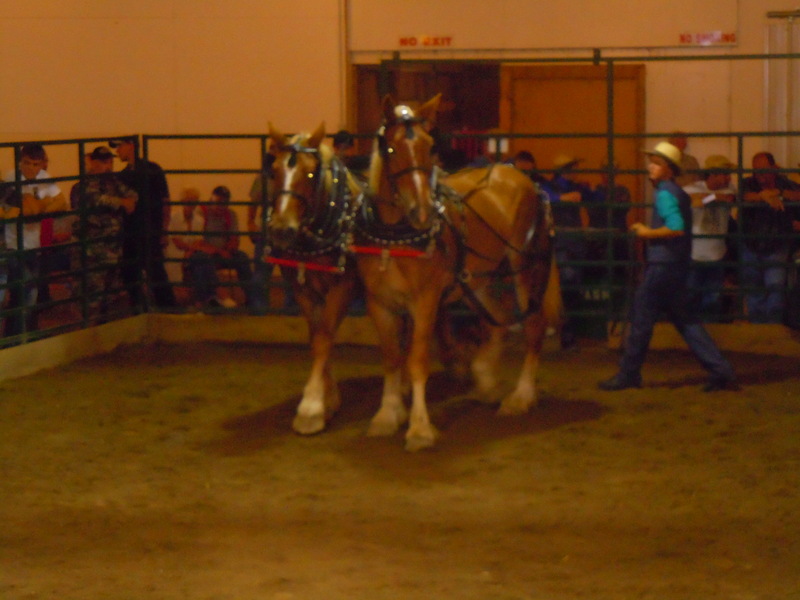 17.3 HH. 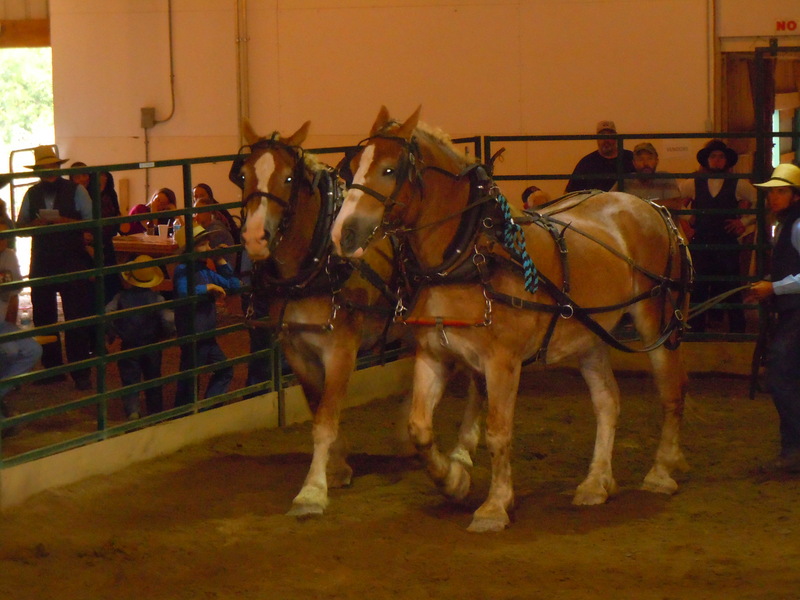 Broke to all farm machinery. Consigned by Eli Hochstetler. 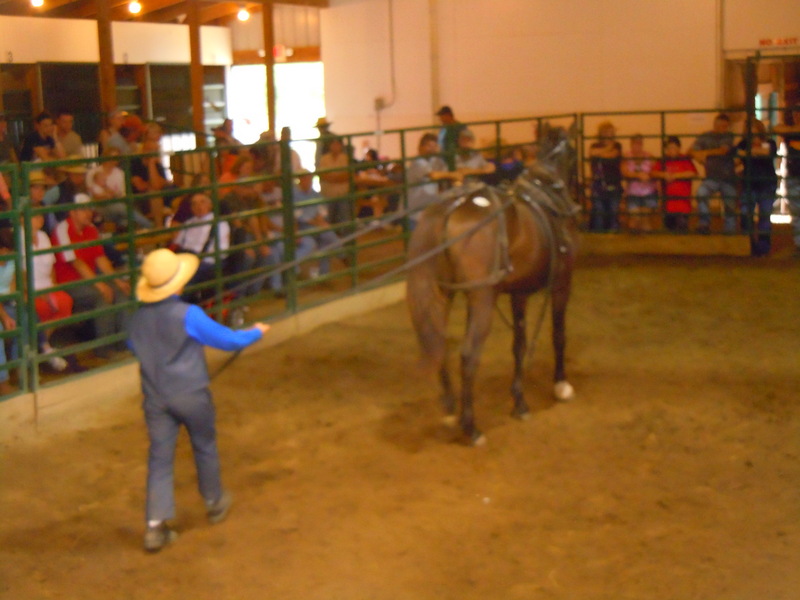 677: 5 year old grade gelding. 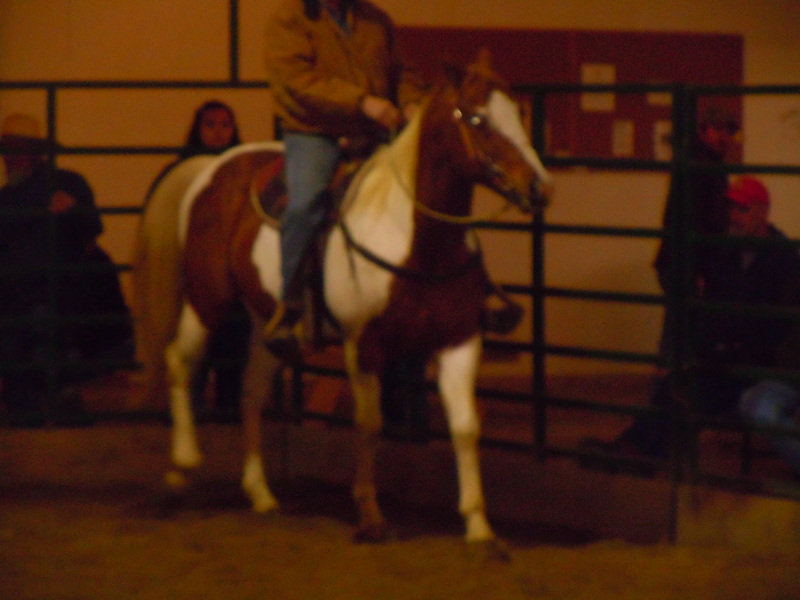 Red sorrel, stripe, light mane and tail. Broke to all farm machinery. 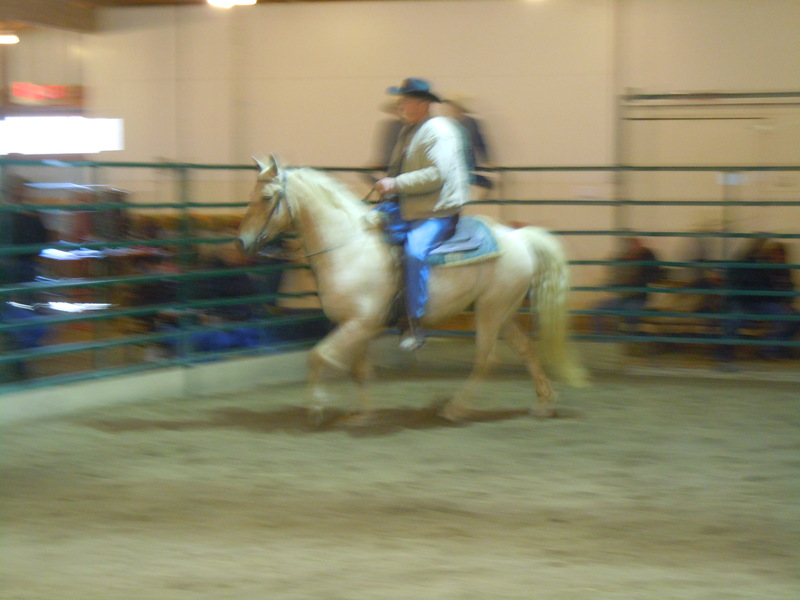 17.3 HH. Consigned by Eli Hochstetler. 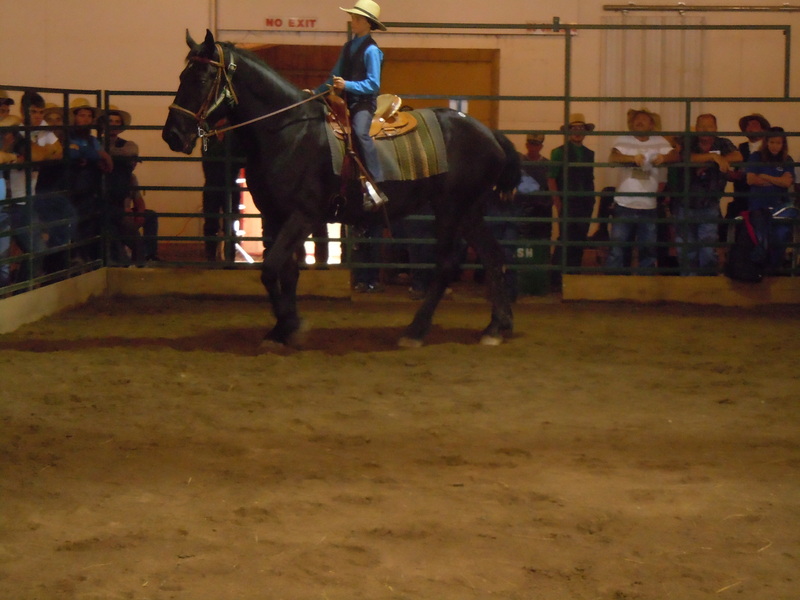 678: 13 year old Percheron mare. Great bloodlines. Rides and drives. 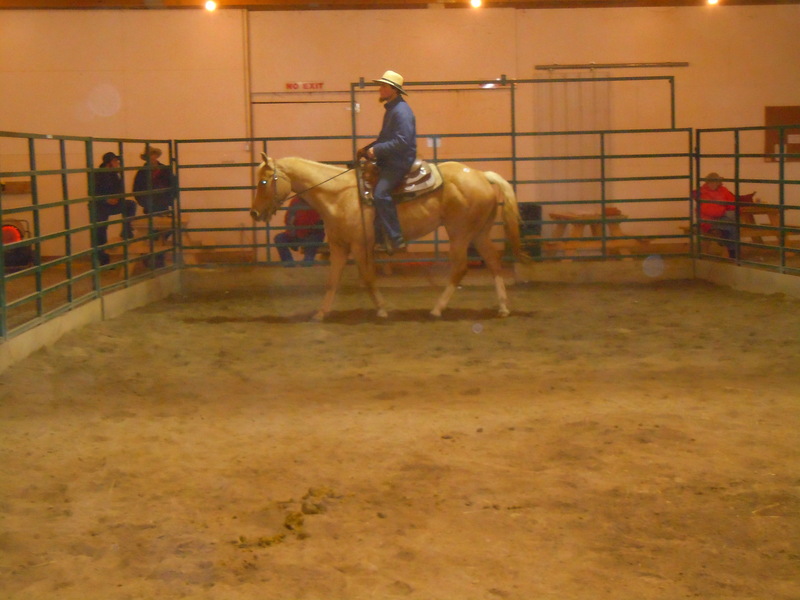 679 CHARLIE: Blonde Belgian gelding. 9 years old. Broke to all farm machinery. Consigned by Emmon Petersheim. 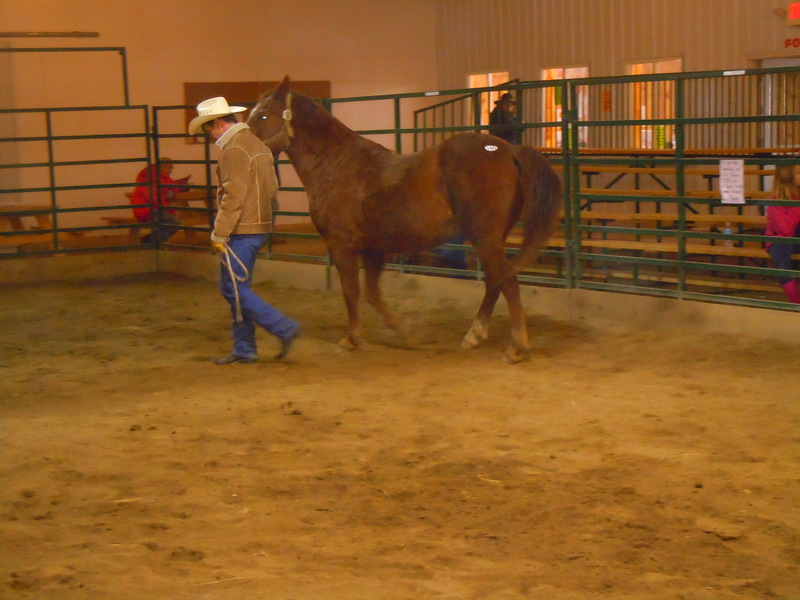 680: 10 year old Belgian mare. Broke to ride and drive. 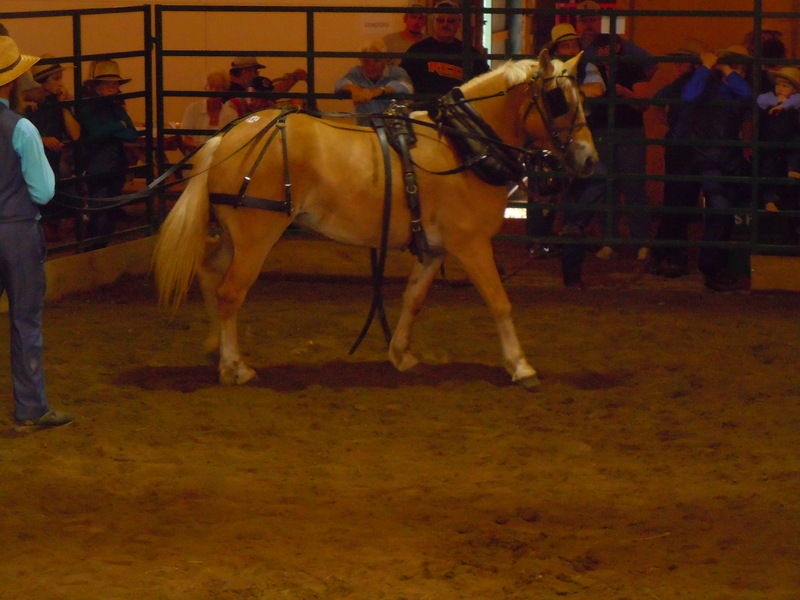 692: 2010 Blonde Halflinger. Broke single and double. Traffic safe and sound. Consigned by John Hochstetler. 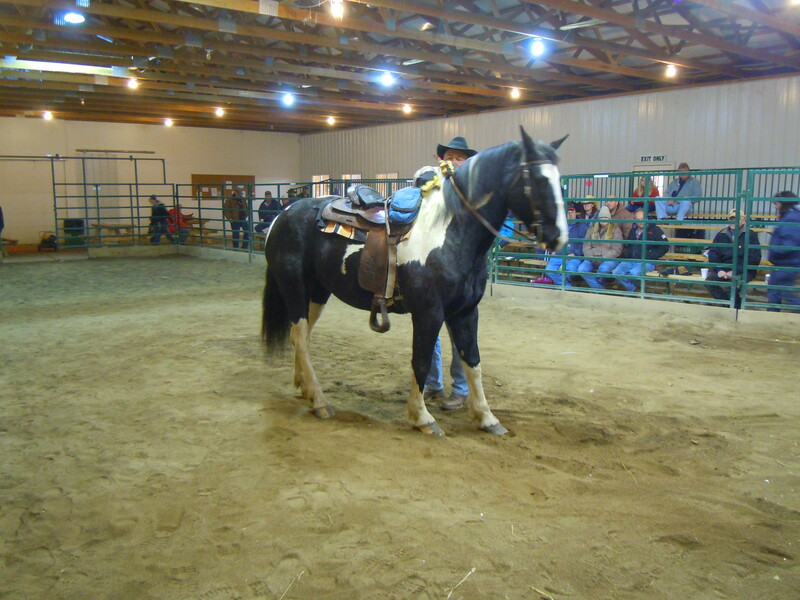 681 ROCKET: 3 year old Standard breed cross black gelding. 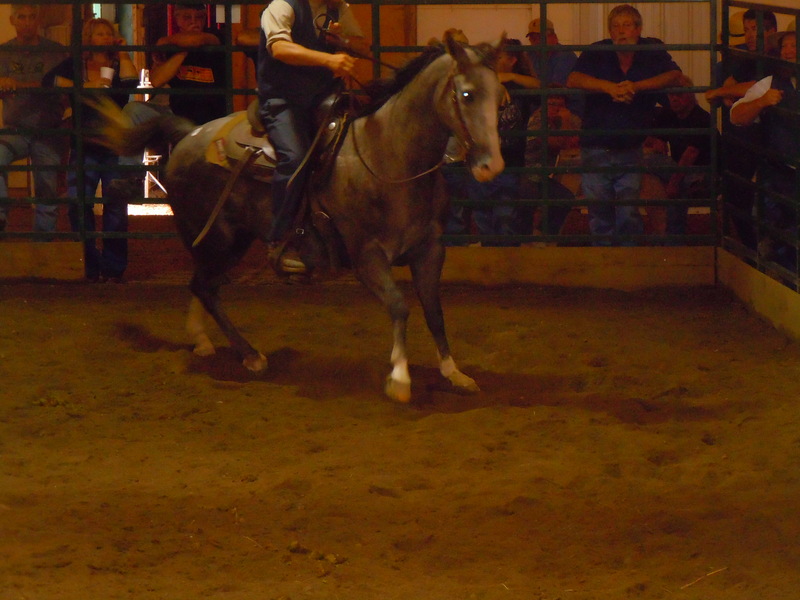 Double gaited. Well mannered. Anybody can drive. Consigned by Abie A. Borntreger. 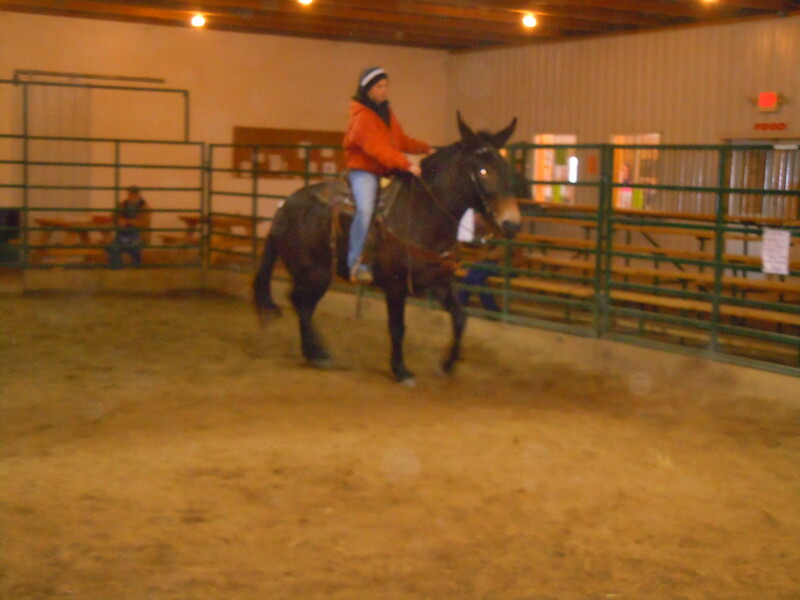 682 DAISY: 4 year old Standardbred mare. Safe for women to drive and sound. 3 white feet. Medium size. 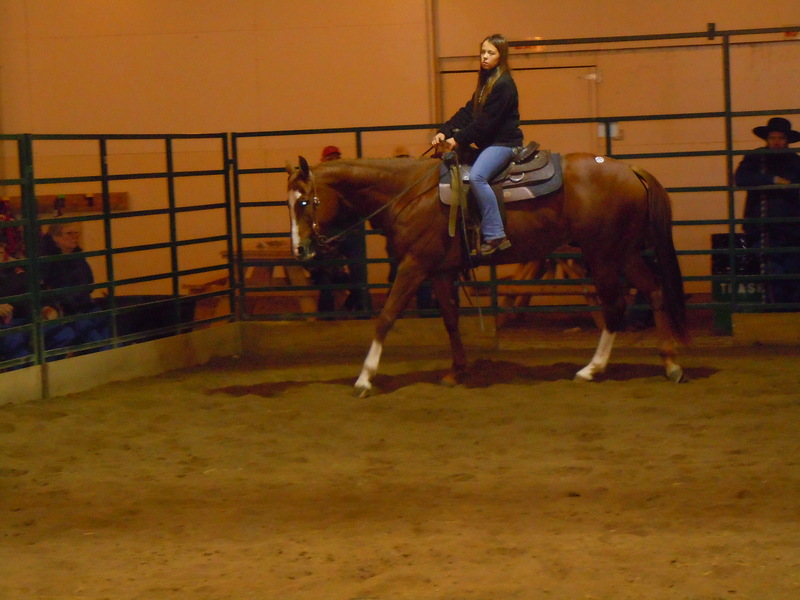 All trot. Consigned by Benedict A. Borntreger. 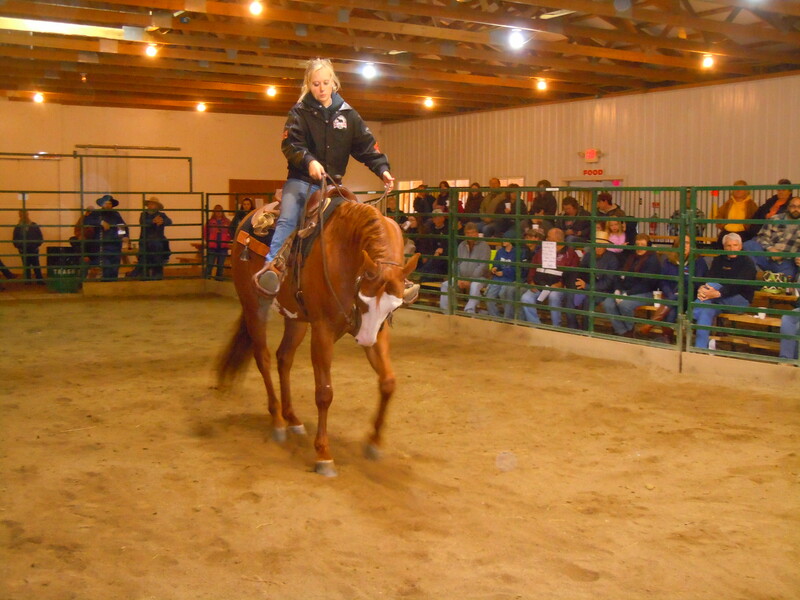 683 GINGER: 9 year old 58” tall red Appy mare. 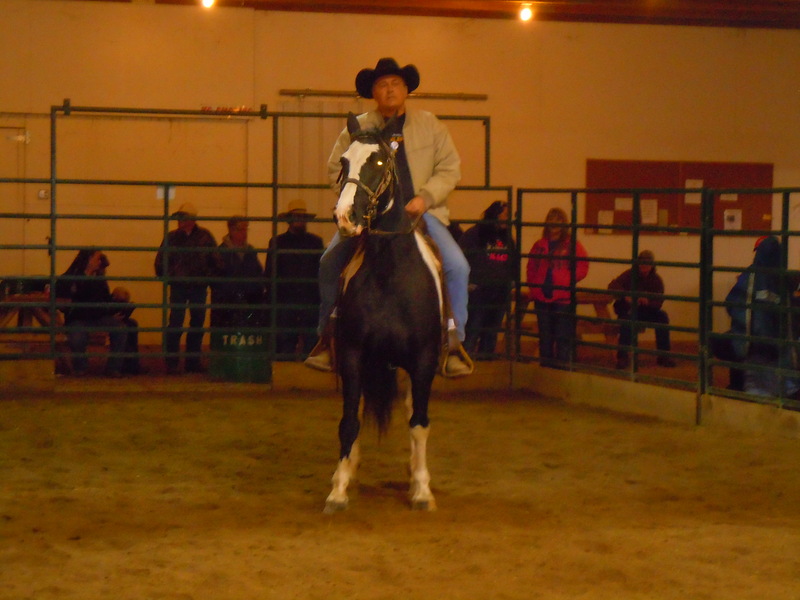 Broke to ride and drive. 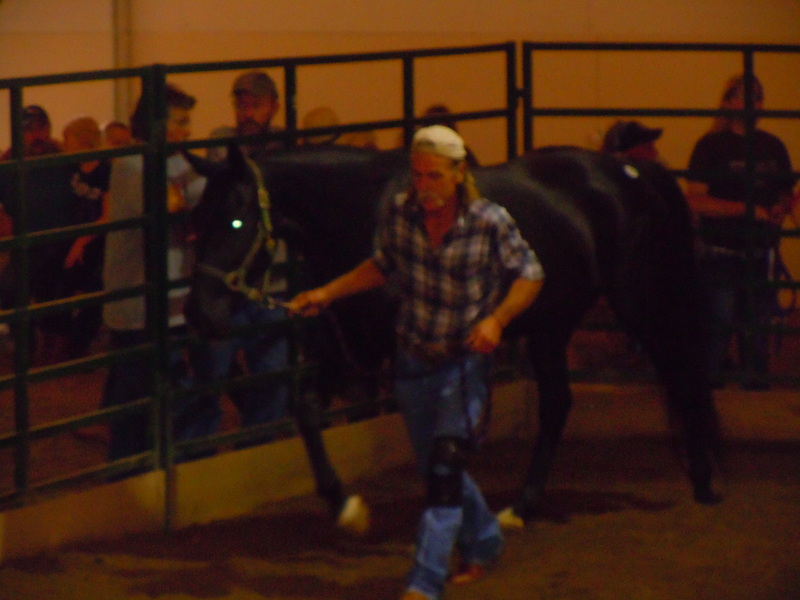 Consigned by Leroy Yoder. 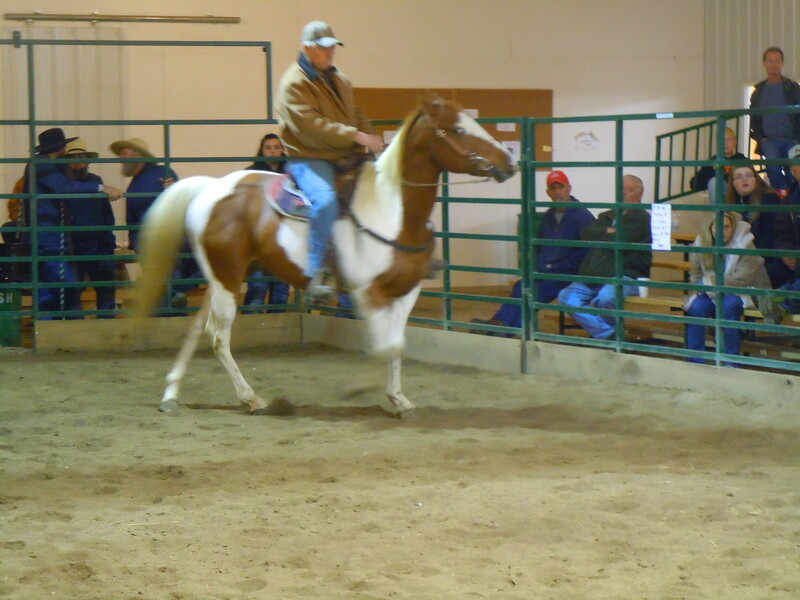 684 TACOMA: 20 year old Pinto gelding. Brown and white. 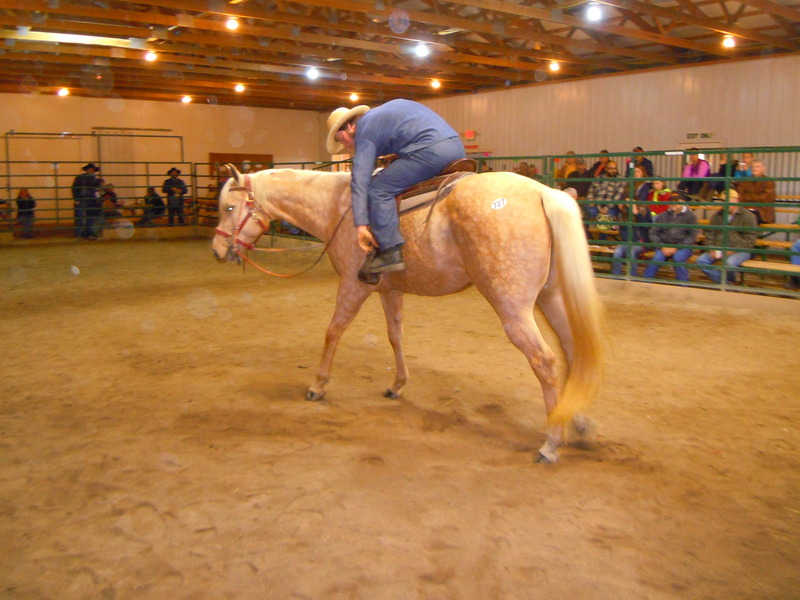 15 HH. Green broke. Not up to date on shots. Needs teeth floated. 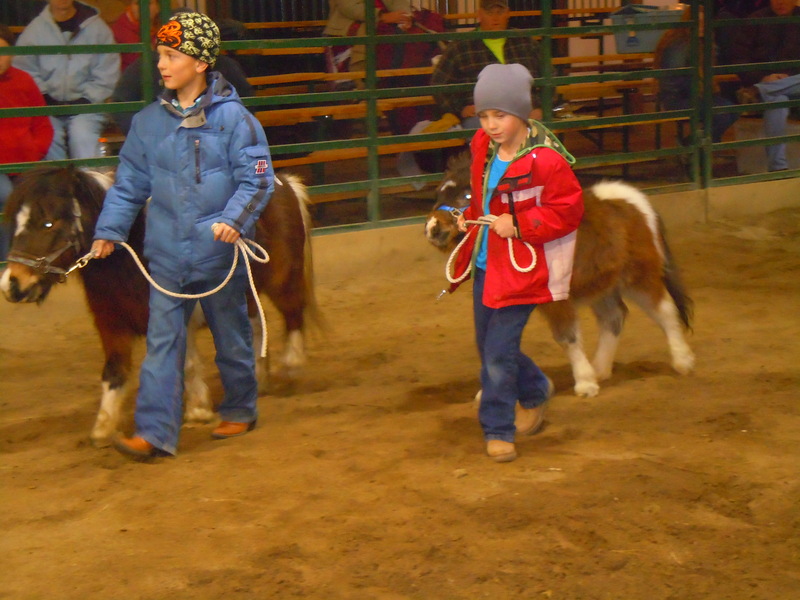 Hooves have been trimmed. Doesn’t crib. Easy keeper. Consigned by Ann McElfresh. 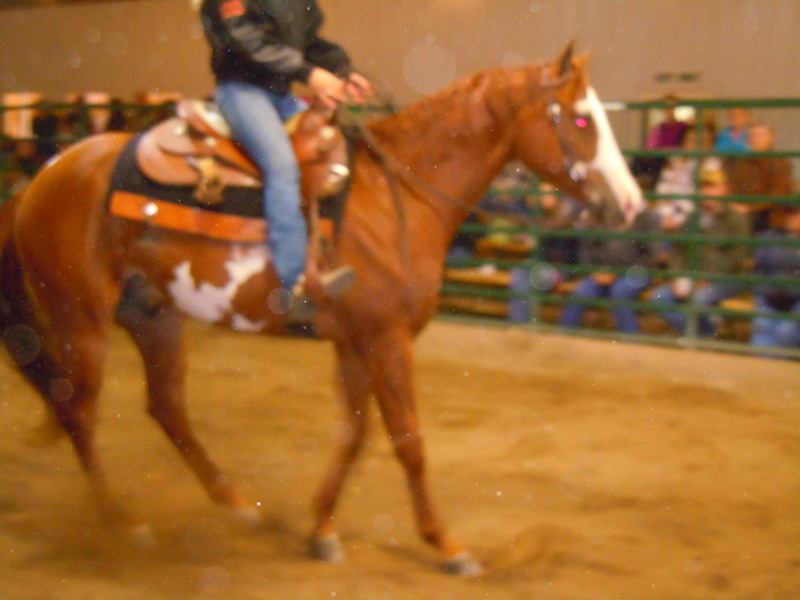 685: 7 year old 48” brown and white pony. 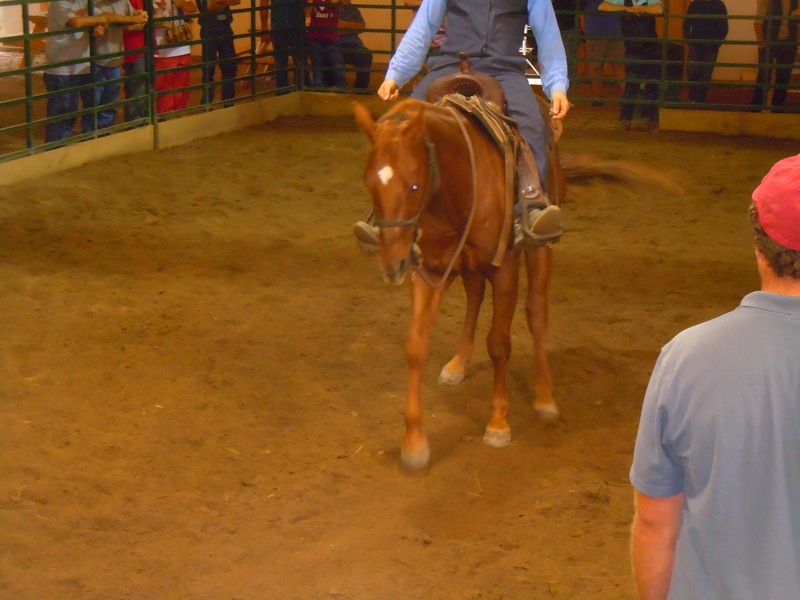 Broke to ride and drive. 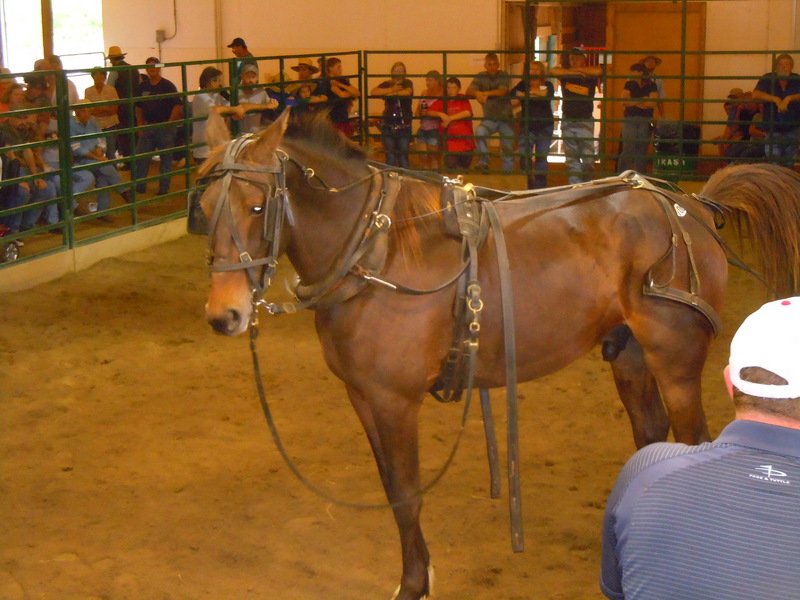 Consigned by Leroy Yoder. 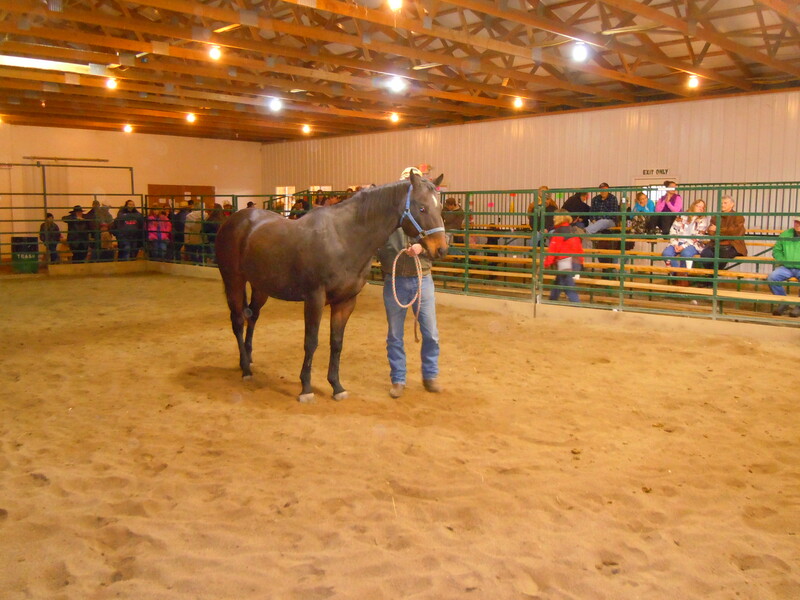 693 JEWEL: 11 year old crossbred mare. Well broke single and double. 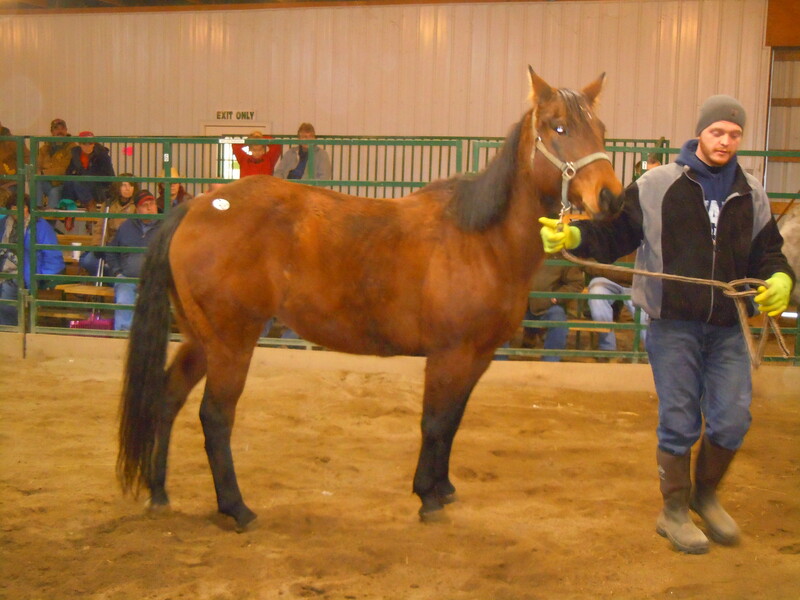 In foal to Friesian stallion. Consigned by Amos Petersheim. 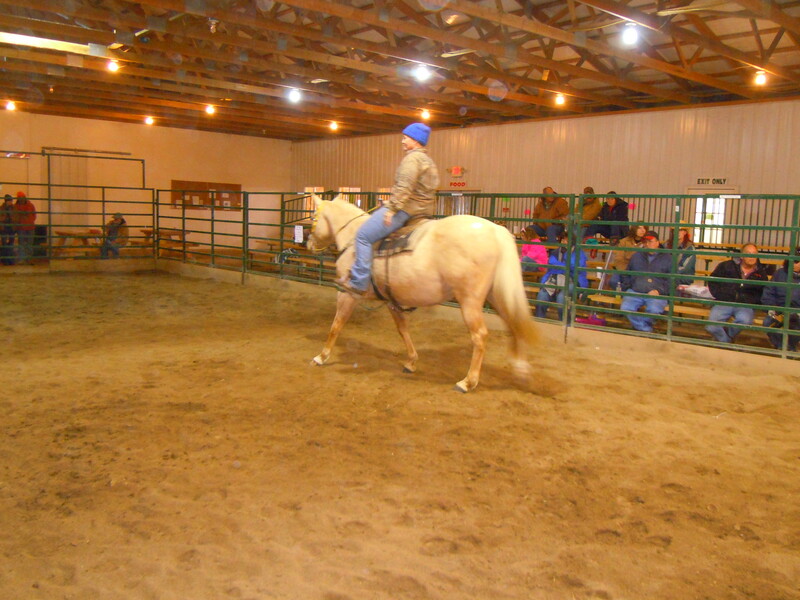 694 Cody: 8 year old bay pony gelding. 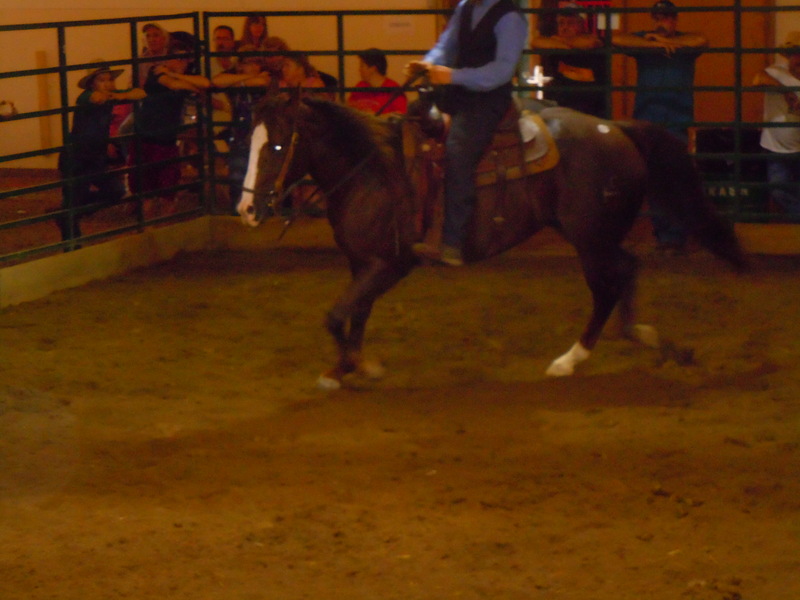 Broke to ride and drive. Consigned by Amos Petersheim. 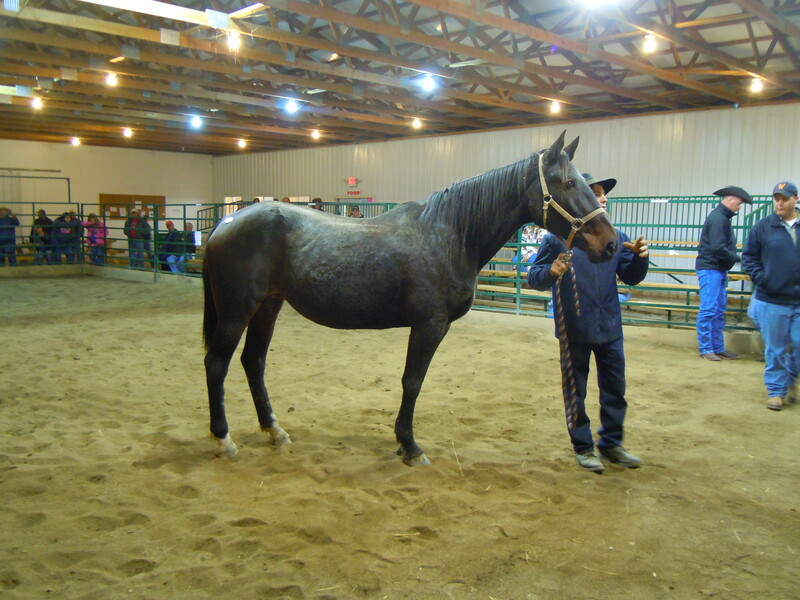 686 JONIAHS SPECIAL K: Reg# 5103539; DNA # QH873994; 5 year old AQHA sorrel gelding. 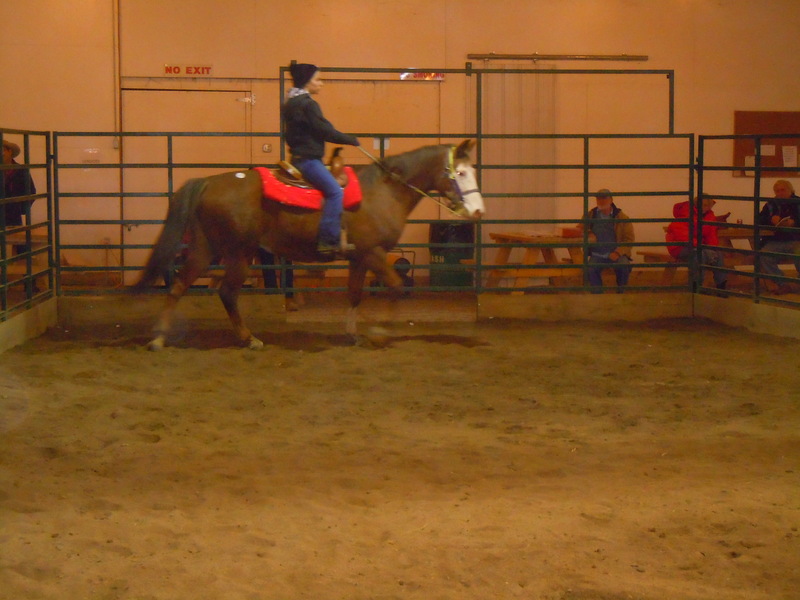 Broke to ride. 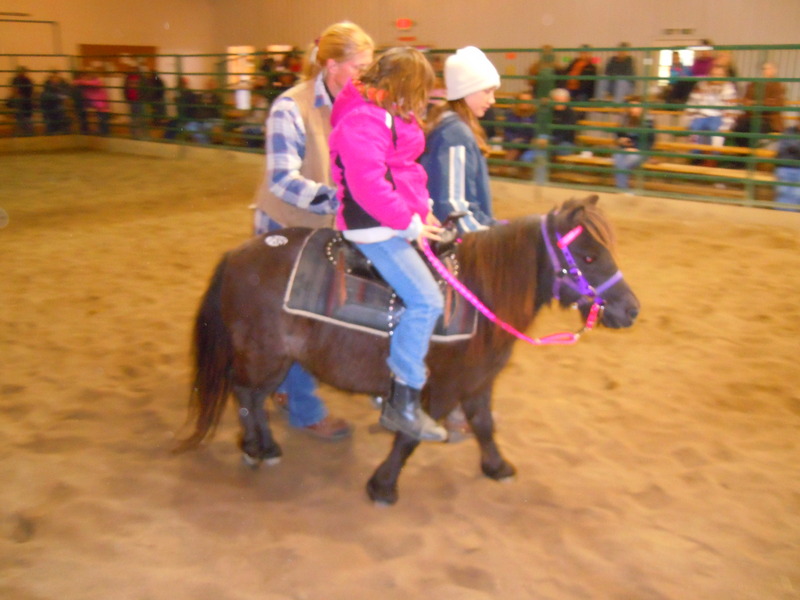 Good trail horse or kid’s horse. Consigned by Mervin Petersheim. 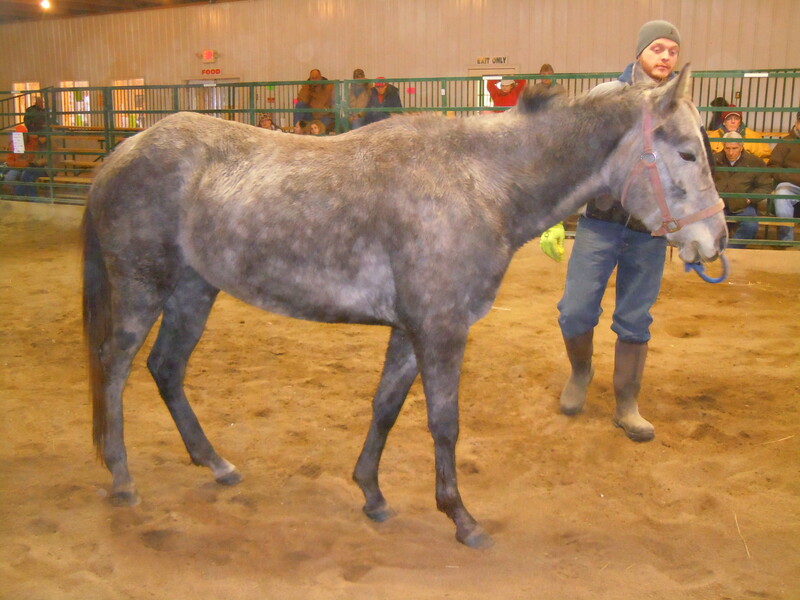 687 STEELA CAT: 2009 gray gelding by Cat Silver out of Smokeys Sophisticate. 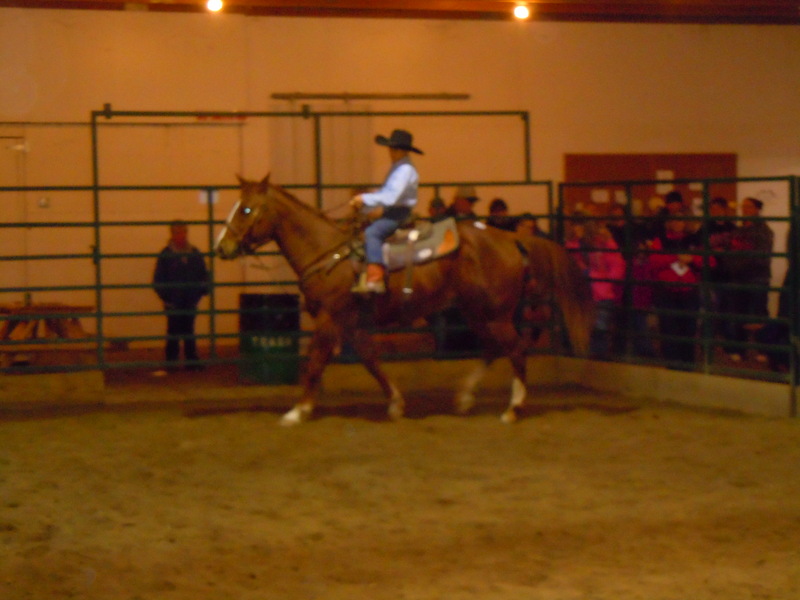 Started as a reined cow horse. Consigned by Ernie Petersheim. 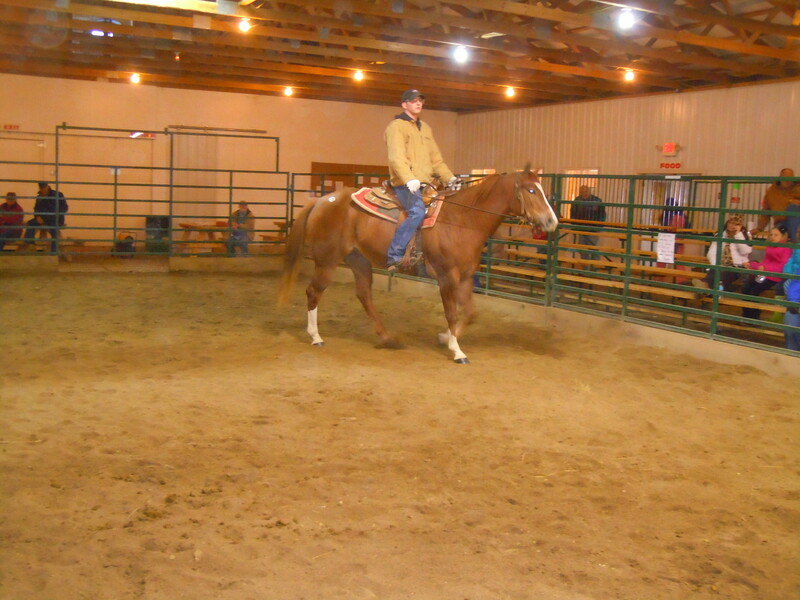 688 PC DOC SAN DUAL: 2004 sorrel gelding by Doc o Dual (Dual Pep) and out of Doc Frosts Fancy. 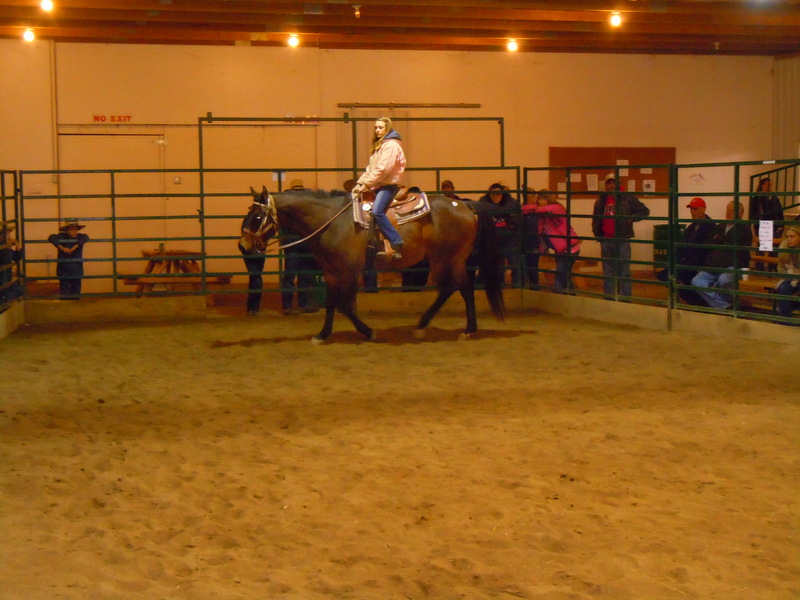 Started as a reined cow horse. Consigned by Ernie Petersheim. 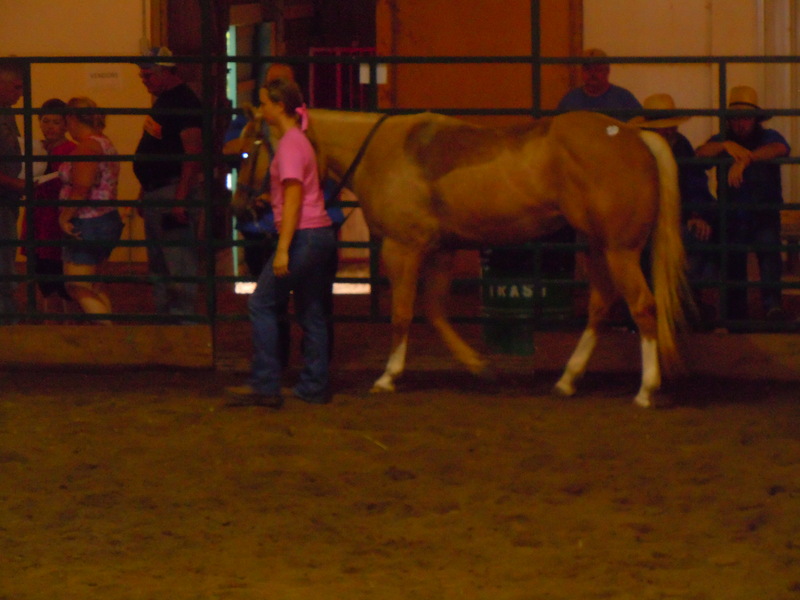 689 NHF LENAS LIL PEARL: Palomino mare by NHF All American Lena (goes back to Doc O’Lena) out of Mark Me Perfect. 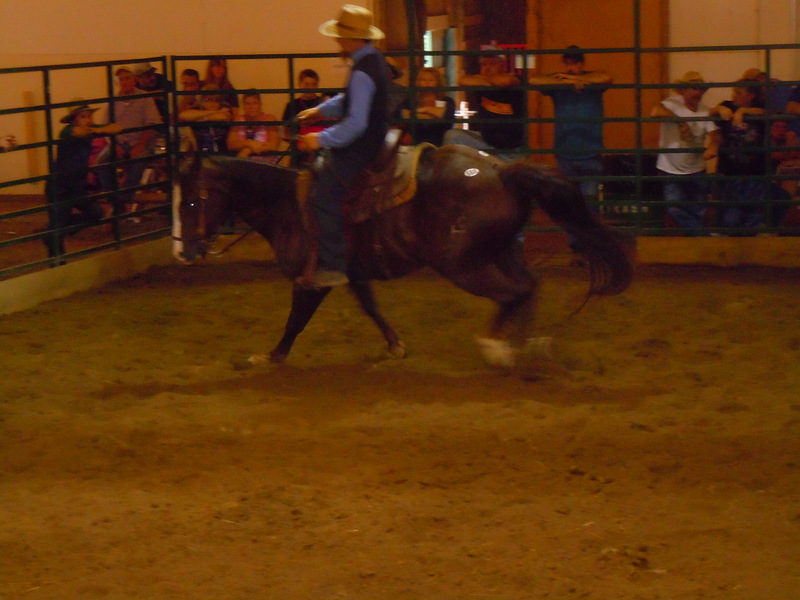 Started as a reined cow horse. Consigned by Ernie Petersheim. 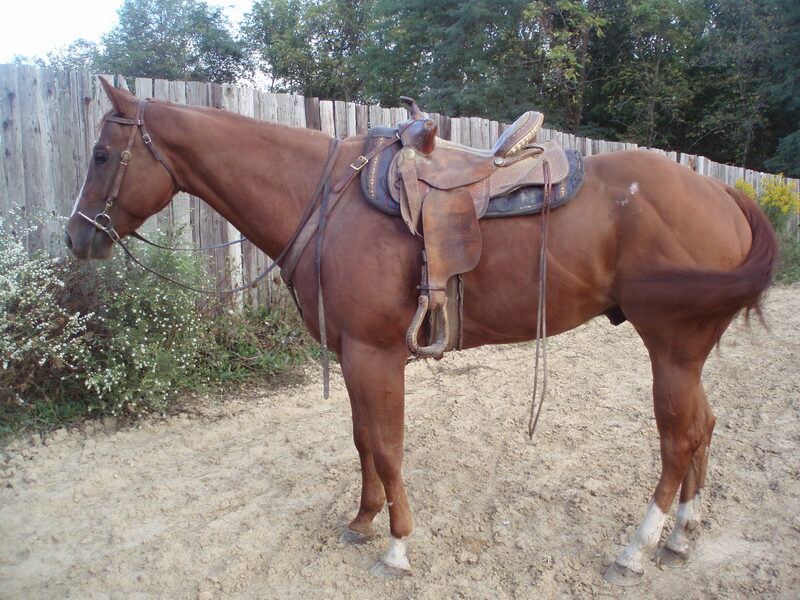 690 LIL MO DIAMONDS: 2010 red roan gelding by Little Mo Pepto (Peptoboonsmal) and out of Cecylias Playmate. 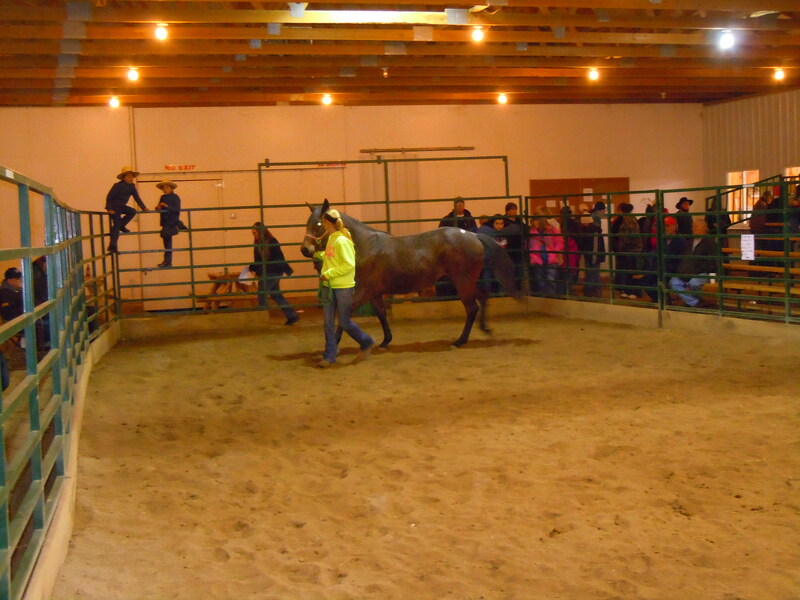 Started as a reined cow horse. Consigned by Ernie Petersheim. 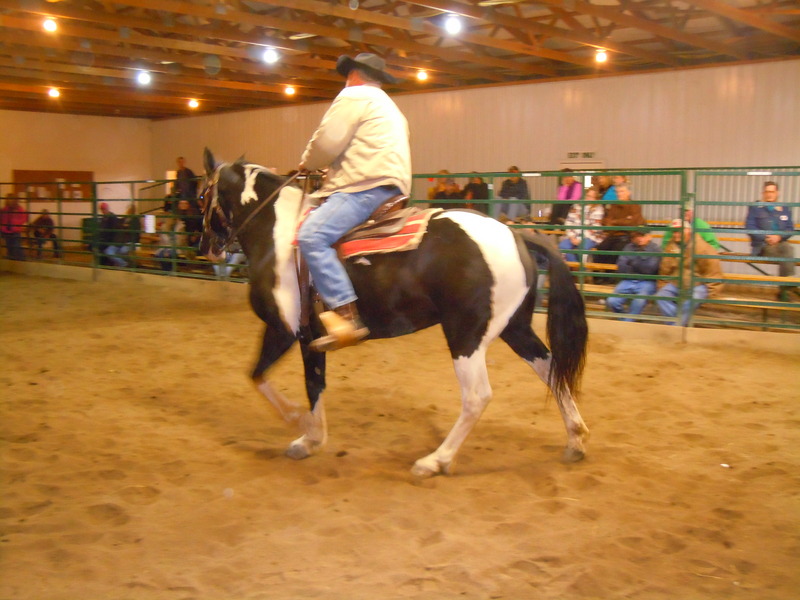 691 HHL DR FRECKLES: 2010 sorrel gelding by RC Freckles Doc and out of Sheza Lily. 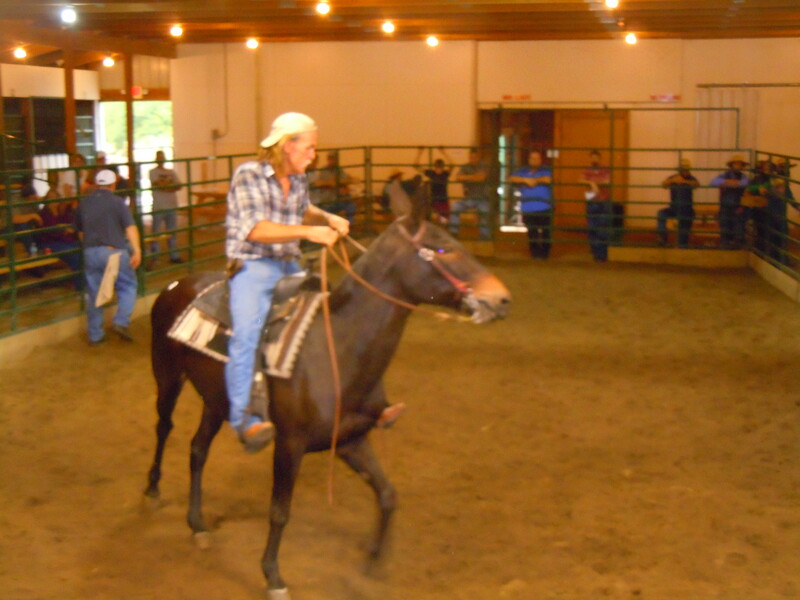 Started as a reined cow horse. Consigned by Ernie Petersheim. 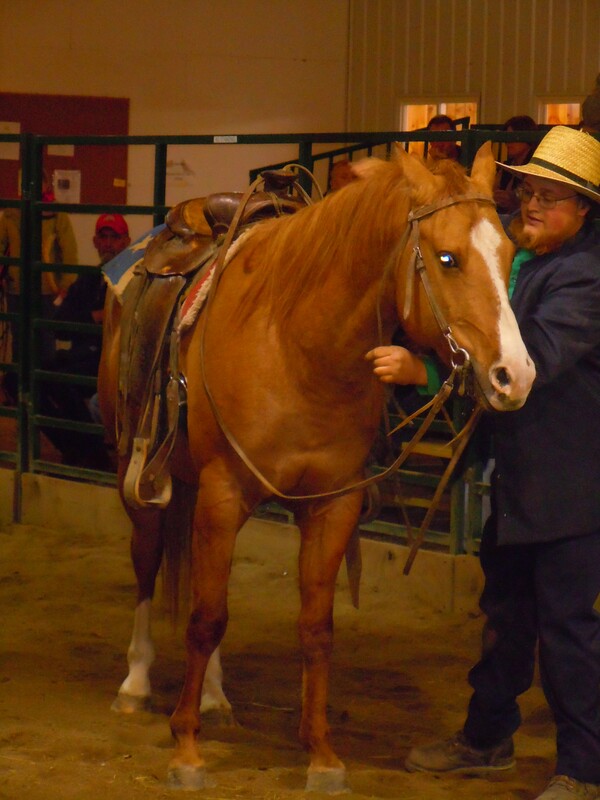 You can still consign your horse! Call or email us! Lots of good food! See you Saturday! Also consigned to October sale. 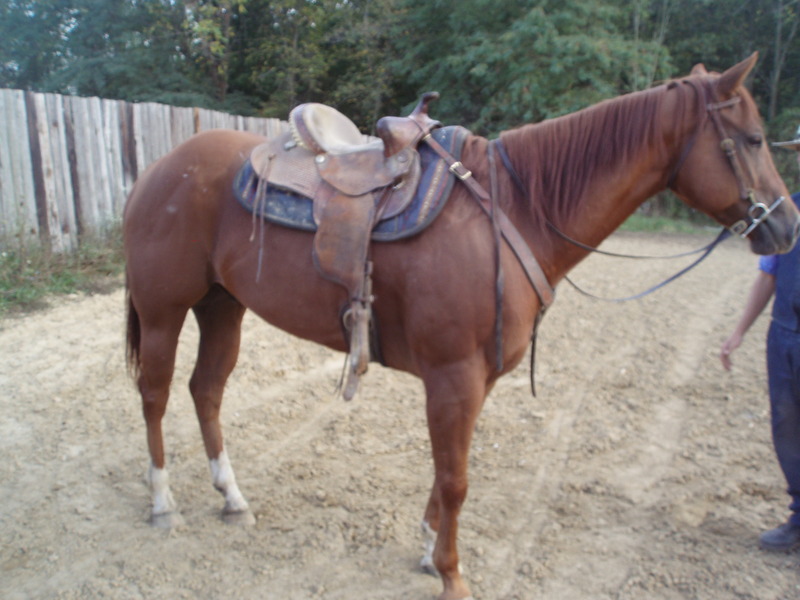 Quiet, halter bred AQHA gelding. 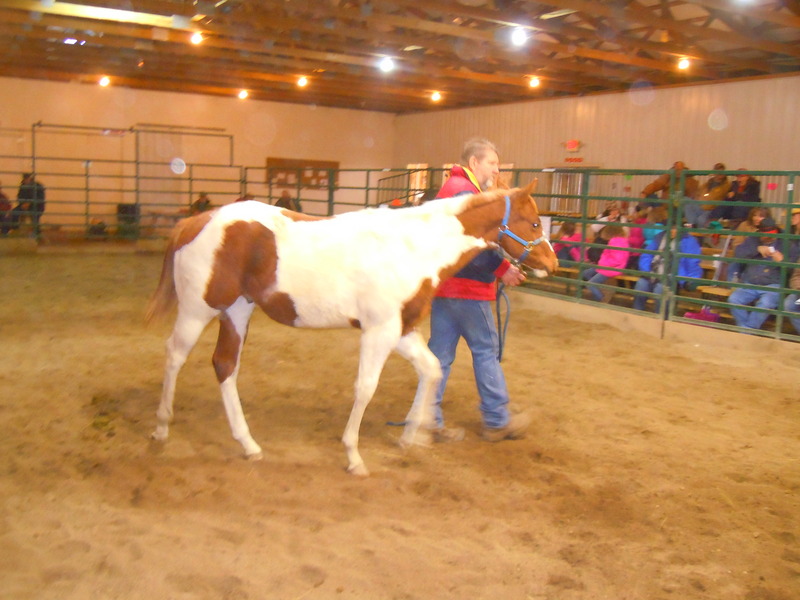 Good trail horse, or kids horse. 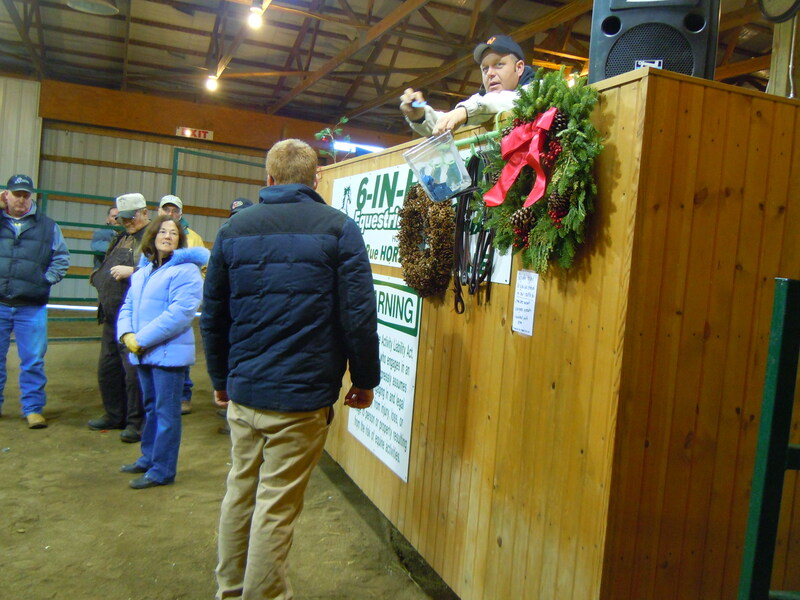 Selling horses at 3:00 pm on October 5, 2013.